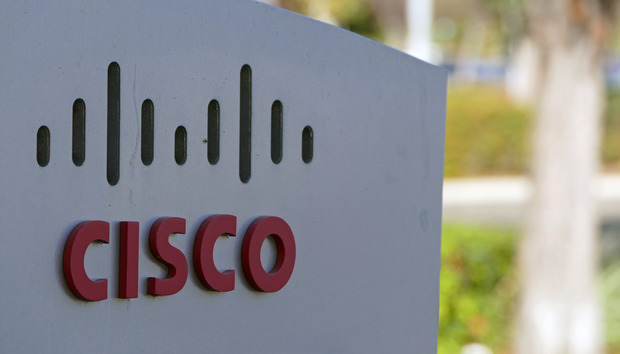 Cisco this week unveiled key enhancements to its enterprise switches, including a 6Tbps supervisor engine expected for some time. The extensions to Cisco’s Catalyst 6800, 4500-E and 3650 lines are intended to address a range of requirements spanning campus backbones, wiring closets, and small office and retail locations. They are designed to boost performance for business applications, support Cisco’s most recent features and accommodate space constrained environments. For the Catalyst 6800 and older 6500 which it succeeds, Cisco rolled out the Supervisor 6T. It fits in the modular Catalyst 6807-XL and delivers 440Gbps per slot on the switch to support higher density line cards like a four-port, line rate 100G Ethernet module. Cisco did not, however, introduce higher density line cards this week as part of the 6T launch but they are expected. In addition to the 4x100G line card, a 12x40G module as well as a 48-port 10G line card are expected for the 6807-XL. Currently, the 6807-XL supports the 220Gbps per slot, 2Tbps Sup 2T. The 6807-XL is also capable of 880G per slot through a 10Tbps Sup10T supervisor, sources say, but Cisco would not comment on when it will be introduced. The Sup6T has feature parity with the Sup2T, Cisco says. But it has a more powerful CPU, 4GB of memory, and 2 x 40G and 8 x 1/10G uplinks instead of the 2T’s 2 x 10G and 3 x 1G. The 6T also includes Cisco’s Instant Access and LISP features on the uplinks, in addition to the Virtual Switching System, MACSec and Security Group Tagging features also on the 2T. Instant Access connects Cisco Catalyst 6800ia access switches to Catalyst 6500 or 6800 core switches and the entire configuration works as a single extended switch with a single management domain. LISP is an addressing technique that separates the device identity from its location to simplify multihomed routing, scale WAN connectivity and support data center virtual machine mobility. The Sup6T will be available in April. For the Catalyst 4500-E, Cisco unveiled the Supervisor 8L-E, a low-end version of the switch’s existing Supervisor 8E. The Sup8L-E features four 1G/10G uplinks instead of eight on the Sup8E, 64K/32K forwarding table entries for IPv4/v6, and support for up to 240 ports. It does not, however, feature integrated wireless support like the Sup8E does. The Sup8L-E operates in the three-, six-, and seven-slot Catalyst 4500-E chassis. It will be available later this month. Lastly, Cisco introduced the Catalyst 3650 “Mini” for small office and retail sites. It’s a 1RU Gigabit Ethernet switch with 24 or 48 fixed PoE+ ports, and four SFP and/or SFP+ uplinks. It supports Cisco’s StackWise technology for linking multiple switches into a single logical switch; and Converged Access for allowing one management policy to be used for both wired and wireless traffic. The 3650 Mini will be available in April.